Home > VBS 2018 – Game On! 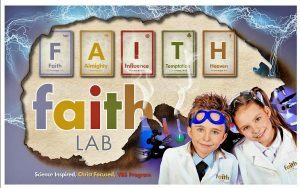 VBS is a week of fun for kids including games, snacks, crafts, skits, and, lesson designed to help them discover God in a creative way! Children are under so much pressure to perform well, to be the best, to balance schedules that are full to the brim, to excel in every arena. From that vantage point, life’s big game can seem like no fun. But when we step back, we realize that the goal is not competing in our own strength. God has already given us everything we need! So what are you waiting for? This is Spirit Week 2018. It’s Game On! If you have any questions, click here to email.